Anita Jo Intenzo-Haunted Author: CREEPY TOYS UNDER YOUR CHRISTMAS TREE? 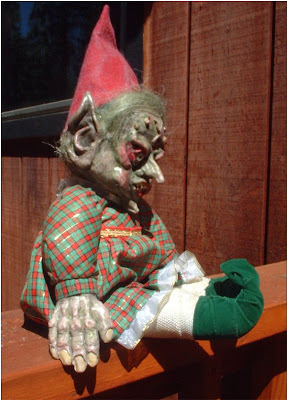 CREEPY TOYS UNDER YOUR CHRISTMAS TREE? Haunted Angels, Elves and Bears-Oh My! Haunted doll and toys auctions during the holidays can be very entertaining. Here is my blog from last year that generated so many page views I figured I revisit a few of the most bizarre, interesting and weird toys that were selling or were sold on eBay last year. It continues to astonish me the hundreds of auctions for "supposedly haunted" toys and the people who buy them. After reading the clever, creative descriptions and stories behind these items you can only wonder: Would you want these toys under your tree? 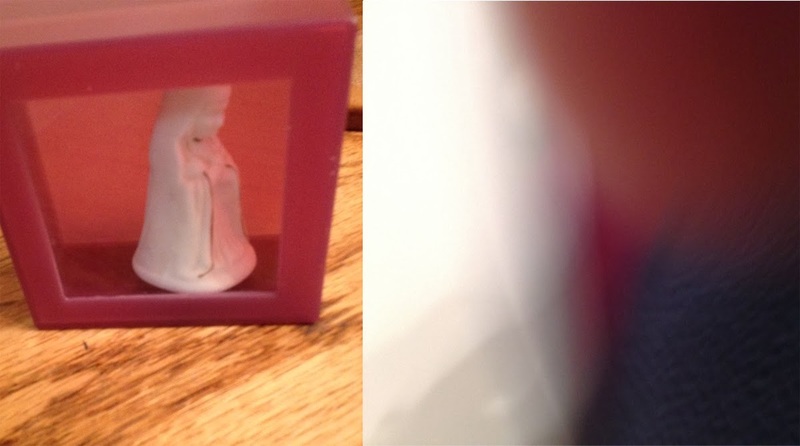 "Recently while going thrift shopping I saw this little angel in a sealed box and just had to have it. The shop owner told me that it had been found in a cemetery a long time ago sealed in the box sitting on a bench. There was no one around and no one knew where it came from or who put it there or why? It has been the source of many stories and legends." "One story is that sometimes it glows at nights and when it does something usually bad happens. One lady's dog died, another person went bankrupt. Just a coincidence? I don't know. So buy at your own risk! Someone or something does not want it opened-could it be a dybbuk box???" The seller continues,"Buyers this is not for children. This is not a toy. Buyers should not be afraid of the paranormal! Buy at your own risk. HAUNTED OUIJA BOARD, ACTIVE WITH ELVES! "This Ouija Board comes with the original box and the box is not in the best condition, but the board is in great condition! This particular board is an active board and I would only recommend it to someone with experience as entities that you do not wish to have communication with sometimes will come through. You need to be able to point out what is what and that comes with experience. 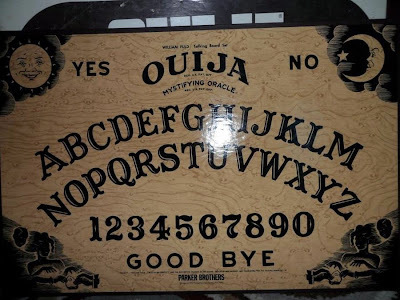 No Ouija Board is guaranteed to never let you communicate with something that has mislead you, but I have blessed this board with the power of protection for anyone who chooses to use it will have a less likely chance of communicating with a negative entity. I have used this board on almost a daily basis and I know it to be a very active board." As to make the point stick, the seller finally adds, "I will also be sending a free gift on behalf of the holidays! My spirits always choose their new homes and whoever is meant to win will!" 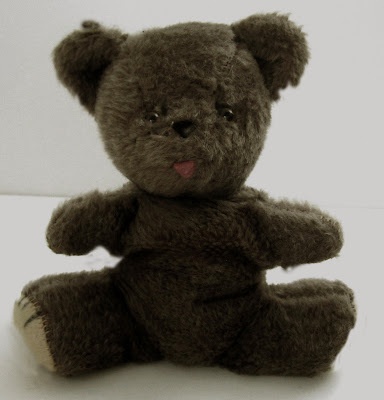 (If you're ever worried about buying something like this based on a bunch of hearsay, the seller assure us that they never place an item up for auction unless they believe it to be truly haunted. Are the spirits the FREE gift and the haunting the bonus? I think I'll stick with a free coupon for a Dunkin Donuts coffee). "You can hear Cindy's (the little girl that supposedly died in an accident) voice emanating from the bear, which sounds distorted and like an old record playing that will keep skipping.' Also there are orbs. Cindy's mother was understandably distraught by all of this, but as luck would have it, she was also an amateur paranormal sleuth who knew an "investigator" who could test the toy for "haunted-ness". (is that a word?) Sure enough, after the bear cried all over his floor, she concluded that it carries with it the ghost of the little girl." 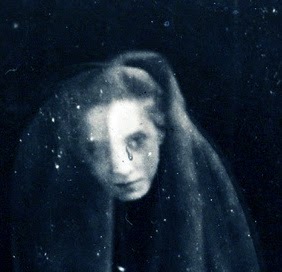 (So what does her mother do when she finds out that she's harboring the ghost of her dead daughter? She hires a person who sells it on eBay for 20 bucks. Thanks, Mom). So if you take an ordinary, cheap, dull or ugly looking toy that is one step away from being tossed in the trash and want to make some money with it- just say it's haunted- or make up a fantastic story about it origins- say its possessed or take a lousy photo with a lens flare and say look at the "spirits" attached to it. It's always goes back to the old saying and it's particularly appropriate to this creepy subject, Buyer Beware! 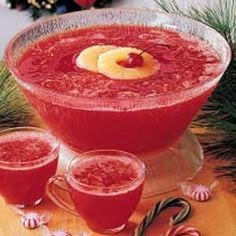 If you want to have a real spirited holiday-spike the punch! Cheers!